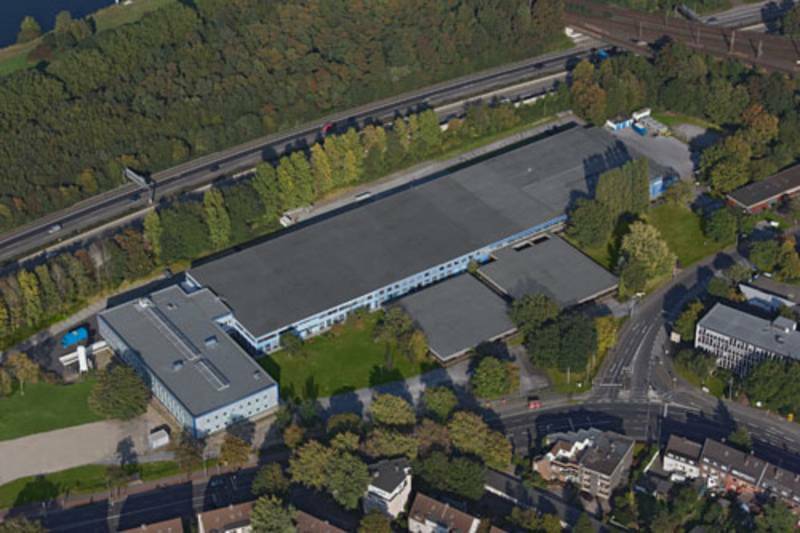 KROHNE Messtechnik is located in Duisburg – Duissern beside the river Ruhr. You will find taxis in front of the station at both entrances - the main entrance and the east entrance (Ost-Eingang). The way to KROHNE per taxi takes approx.10 minutes. The point of reference for the taxi driver is the well known “TÜV at Schnabelhuck”, directly in opposite of KROHNE. At the station you can take the bus line 939 or 944 with direction “Werthacker”. Your bus stop is “Ruhrau” (approx. 10 minutes, please ask the bus driver to tell you when you must go out). The buses go every half hour (official time table http://www.vrr.de). To find the bus stop don’t leave the platform in direction station hall. Instead go to the end of the platform in direction metro & buses. Buy a ticket at the ticket machine before bording the bus (price bracket A, “Preisstufe A”). At the next junction turn left onto the Ruhrorter Straße. Till the next crossroads you are driving beside the river Ruhr. At the next crossroads turn left onto the Ludwig-Krohne-Straße. Directly behind the traffic lights turn again left onto the KROHNE parking place for guests, on left side of the main building (Trucks drive to the gateway 40 meters straightforward). Stay on for approx. 300 meters and turn behind the “TÜV” right onto the Ludwig-Krohne-Straße. Directly behind the traffic lights turn again left onto the KROHNE parking place for guests (Trucks drive to the gateway 40 meters straightforward). Leave the motorway A59 at exit Duissern, turn left onto the Saarstraße/Oranienstraße. After 300 meters cross the Duissernplatz straightforward and drive onto the Wintgensstraße. At the next crossroads turn left onto the Ludwig-Krohne-Straße. Directly behind the traffic lights turn again left onto the KROHNE parking place for guests (Trucks drive to the gateway 40 meters straightforward). You will find a complete map of the city of Duisburg on the Duisburg homepage.